To be honest, I have been struggling to instill a sense of pride and understanding of value in my children. Unfortunately, it has been thrown out the window to accommodate the realities of the camp pack. Camp is a luxury item that I value highly; Thanks to fellow Loupers Jeff & Leslie! In addition to the cost of camp, the resources (time and money) expending supplying them with what they need is enormous! They wouldn't think of going to camp with last years gear, let alone hand me downs from their siblings. Admittedly we want to throw everything away by the time they get back from camp. Everything has to be new. The amount of things that they bring away is absurd! I remember going to camp with a single trunk and never, ever being want of anything. I am not sure if I don't remember, but likely I didn't care. I also remember driving miles out of our way so we could use coupons to buy shampoo. Now shampoo flows into my house by the ton via Amazon; half bottles are discarded in favor of new ones. In this week's Loupe, we explore the relationship between price and value. This is a movie about the business of art. It was conceived and produced by fellow Louper Debi W. 100's of hours of footage organized adeptly with expert editing and fitting music give a fascinating sketch (deep dive) of the business of art. The story is cleverly woven through interviews with artists, collectors, dealers, auctions houses, art historians, and more. The range of characters in this film comprises the gamut of influence and knowingly (or not) conspires to make the art market what it is. The viewer is left with a glimpse into this world if they are not already initiated. The film is currently only available at film festivals but will have a theatrical release in October and be available on HBO sometime later. If you need a book about economics for someone who doesn't want to read about economics than look no further. This is a clever story about a Cuban immigrant who has a dialogue with his college Dean who happens to be a professor of economics. Through anecdotes she is able to tell the story of capitalism through the simple concept of prices. It is a perfect introduction to Economics for the uninitiated. For those of you who are economics or finance majors, it is a cute story that feels like Ayn Rand light. Either way, the reader will gain perspective on price and proper functioning of a market. In The Price of Everything (the book), there is a reference to the simple pencil and hard (impossible) it would be for an individual to make one themselves. Through its manufacture, the author explains how a market conspires to produce the pencil and it becomes a parable for capitalism itself. EW Pencils mostly sells pencils (some erasers and journals too). It was founded 3 years ago by Caroline Weaver (above, holding a pencil of her own design) who dreamed of bringing a pencil shop to life. In it contains pencils from around the world. Each has its own unique creation story. For example, there is a company in New Jersey that produces all the elements and assembles the pencils in-house, one of the last companies in the US to do so. She opened a new location on Orchard Street in October 2017, but of course, you may shop online. She has many exclusive items and this is the type of shop the world is better off for having! The truth is no one and/or thing knows the price of everything, but Paribus gets pretty close. 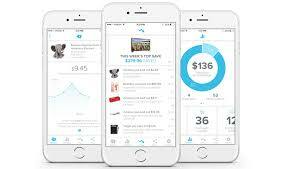 This nifty little app monitors my online purchases for price changes. The reason is that many retailers, Amazon being one of them, provides price guarantees in their tiny legal language. However, it is incumbent upon you to find these discrepancies and alert the retailer in order to get that money back. That is exactly what Paribus does for you! They observe the price changes and then get you your money back, less a 20% Finder’s fee. The money goes right back on your credit card! This may not make you rich, but you have to do absolutely nothing and you can potentially earn back your money. Maybe it does know the price of everything! Most everything has a price, the key is figuring out yours and consider The Price of Everything Movie, The Price of Everything The Book, CW Pencils, and Paribus Found! Clear Eyes, Full Heart, Can't Lose! Activities, Home, Technology, WebsitesBryan Verona July 12, 2018 I know Tim Riggins!